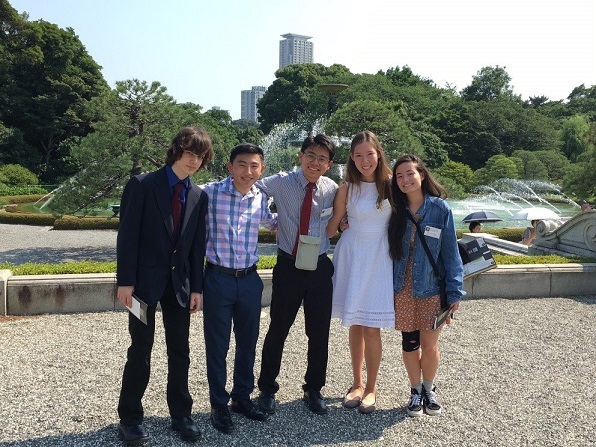 Angela Zakravsky, a senior at Scripps Ranch High School in San Diego, was selected as one of five participants of the 2018 Japanese American Student Program sponsored by the Ministry of Foreign Affairs of Japan. 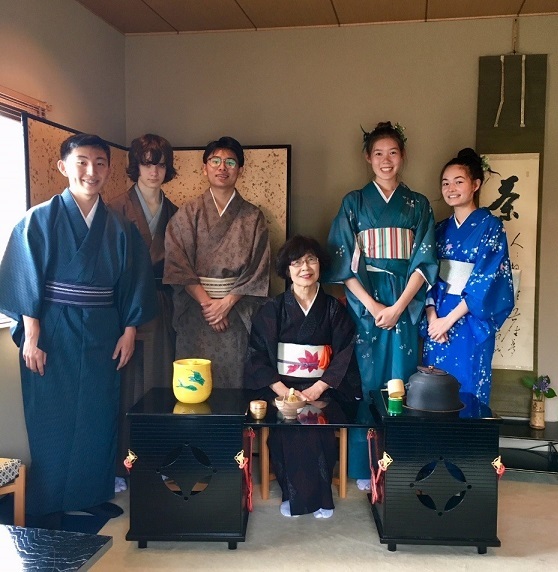 This program, which began in 2010, provides the opportunity for Japanese American high school students to learn about Japan and promotes mutual understanding and exchanges between Japanese and Japanese American younger generations. 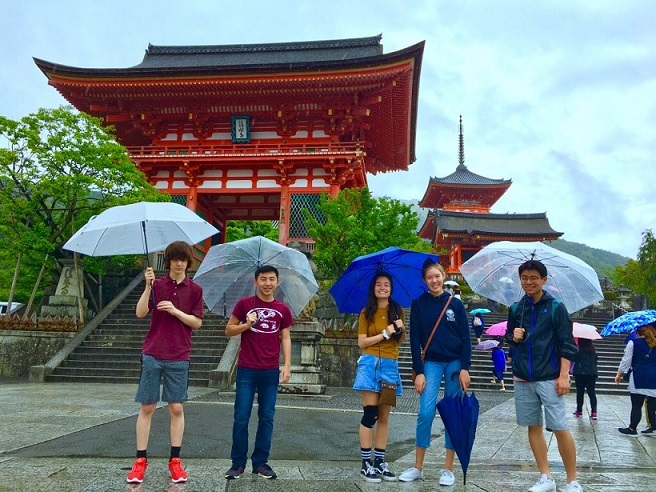 Angela traveled to Japan during the summer and shared reflections about her experience on the program. My heart raced as I said my last goodbyes to my family at the San Diego airport. I was nervous and ecstatic for the next two week adventure which was about to come. I was about to go on a life changing journey with a couple of individuals scattered across the walks of the United States. Up to that point, I had never met the rest of the individuals on the trip; I had only seen the names of these individuals on a piece of paper. When I arrived at Narita airport, I received a warm welcome from the nice staff members. I was able to unite with the rest of the four students who were going to partake in the 2018 Japanese American Student Program with me. After an exhausting day of plane travel, we finally arrived at the hotel and caught up on much needed sleep. The next morning, we got dressed early for our orientation provided by the International Friendship Association (IFA). This was a very insightful day, as we learned more about Japanese culture and the Ministry of Foreign Affairs (MOFA). The orientation was a great way to learn about the cultural differences and to get a closer look at the norm of a Japanese lifestyle which I was not encountering on an everyday basis. Some differences in customs like taking shoes off in the house or having a variety of “okazu” with the main course of rice are not normal in America. These traditions, however, are something that have been passed down for many generations in Japan. On the second day of my Japan experience we had the amazing opportunity to visit the Ministry of Foreign Affairs. During the visit, we got to learn what incredible measures Japan is working on to become more globalized. I learned that Japan and the U.S. are constantly trying to help one another out as allies. Being the bridge between two countries is so important because I believe this will help foster peace. This was the most touching experience I had in Japan. Having had the opportunity to be in the building knowing there are numerous things being done to keep both countries safe is incredible. It motivates me to want to work hard and strengthen the alliance between Japan and the United States. The next day, we got a taste of the Japanese school system. The visit was very short, but I was able to learn a lot during that day. Being half Japanese attending Japanese Saturday school, I thought the classes were going to be similar. However, the atmosphere was different. The greatest culture shock was that students were not able to drink water or even eat food during class. The classes are more intense in a sense that a majority of the students were paying close attention. The students and I exchanged differences between the education culture between Japan and America. We learned about each other’s different schooling systems, and I felt this was very unique for both sides. Being able to experience a new family in a different country was a very special experience! During the homestay, I was able to teach them about American culture and vice versa, learn about Japanese culture from them. They were able to answer every question I had about their Japanese culture. I asked them questions like why it is an unspoken rule in Japan to eat every grain of rice in your meals, and why chopsticks are placed in front of your meal rather than on the side. Everything in Japan is so traditional and this dates back to such a long time back. Visiting the temples really showed this. My host family took me to Kotoku-in and Hasadera, which are located in Kamakura. Before entering each temple, people had to wash their hands and rinse their mouths with natural water. I learned that the purpose behind these rituals was to ‘clear the soul’ and to bring fortune. The trip to Kyoto taught me that Japan is such a proper country and people are always treating each other with respect. When I attended the tea ceremony, I learned that the ceremony itself centered its rituals on treating others with the utmost respect. Every particular movement done at the tea ceremony is a sign of respect and appreciation for the guest. We learned that the direction in which we turn the tea cup is always towards our guest, and the proper symbol which should be facing you before you present your tea to the guest. This trip to Japan has taught me that everything done in your everyday life should be done with gratitude. Respect should always be shown when speaking to other people regardless of their age or seniority. Small acts such as slurping your soba, or bowing when leaving the elevator, is a sign of respect. I have a newfound determination to do my best to contribute toward the U.S- Japan alliance and to help bridge the gap between the cultural differences among these nations. © 2012 Consulate General of Japan in Los Angeles. All rights reserved.